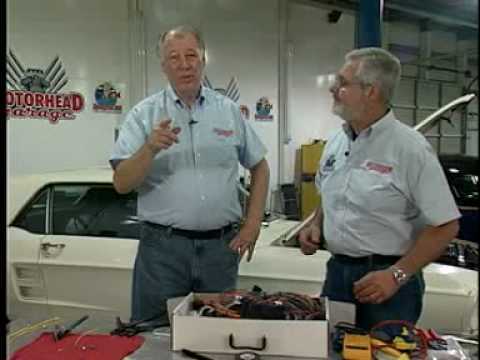 American Autowire manufactures the highest quality OEM replacement wiring harnesses and complete upgraded electrical systems for original restoration, performance enhanced, and custom automobiles. Our dedicated team and their passion for cars, ensures customers will receive the right product to meet their needs. Whether a builder, dealer or enthusiast, our extensive line of American made products, expert team, and superb technical and customer support, make wiring THAT easy! We are dedicated to exceeding the expectations of our customers. Our daily actions are performed with the customer in mind, and we strive to continuously improve our products and ourselves. We prize innovation, and consider the end user with each new addition to our catalog. We willingly share clear, accurate information. This means addressing customer concerns, while working to find the best solution within the parts we build. Integrity begins with reliability. It is reinforced with honest communication, consistency in words and actions, and a willingness to accept responsibility for every item that leaves our facility. Every American Autowire employee demonstrates leadership qualities by promoting teamwork and seeking new solutions. We treat each other, and our customers with fairness and respect. Safety is part of everything we do. We manufacture high-quality products in an environment where employee well-being is priority number one. Every part we manufacture must pass a thorough inspection in order to ensure a lifetime of trouble-free service. We align and prioritize our daily tasks to support American Autowire’s achievement of its long-term goals. We passionately strive to see beyond the present, and look for new ways to improve. We strive to be experts in all aspects of our field, and to be a ‘go to’ resource for others in our areas of proficiency. We are passionately committed to providing superior products, utilizing our customer feedback, and producing only the highest quality work.